Argentinosaurus was a massive plant-eater (herbivore) that lived in South America (its fossils were discovered in Argentina) during the Cretaceous period, around about 100 million years ago. Early estimates for the creature, sized it at a length of around 114 feet (34.6 meters). However more recent research, and comparison with Titanosaur relatives, have now led scientists to conclude the animal was around 72 to 98 feet (22 to 30 meters) in length, and weighed around 60 to 90 tons. Even at this reduced size, it is still one of the heaviest Sauropods known. South American Dinosaurs - Argentinosaurus lived in Argentina. Argentinosaurus was a genus of dinosaur. "Argentinosaurus" means "silver lizard" - "silver" is a reference to the country of Argentina (which is also derived from the Latin word for silver), where the creature was first discovered. Argentinosaurus was a member of the Saurischia ("lizard-hipped") order of dinosaurs. What this means, is that although Argentinosaurus was not closely related to lizards, it did have similarly shaped pelvic bones. Argentinosaurus was a Sauropod - a member of a group of related large quadrupedal herbivorous (plant-eating) dinosaur with long necks. Argentinosaurus lived about 100 million years ago, during the Cretaceous period. Argentinosaurus was a herbivore (plant-eater). Argentinosaurus was about 72 to 98 feet (22 to 30 meters) long. Argentinosaurus weighed about 60 to 90 tons. Argentinosaurus is one of the biggest sauropods, a group of enormous, long-necked, and plant-eating dinosaurs. Read about this gentle giant and a range of other fascinating dinosaurs, including a fearsome meat-eater Acrocanthosaurus; Huayangosaurus, whose back and tail were studded with bony plates and spear-like spikes; duck-billed Kritosaurus; Alxasaurus, a feathered dinosaur with long, knife-like claws; and Bambiraptor, a small but vicious hunter. In the Dinosaurs series, a talented artist and a noted paleontologist have teamed up to re-create the vanished world of the dinosaurs in comic-book form. Each volume in the series tells the action-packed yet scientifically accurate story of a different dinosaur living in its particular geological time and place. At the back of each volume are several short essays, abundantly illustrated with original drawings and photographs of fossils, that explain more about the creatures and geographical settings encountered in the comic. These essays, written in terms that kids will understand, reveal not only what paleontologists have learned about the age of the dinosaurs, but also how they have learned it, by examining fossils and other types of evidence. Giant vs. 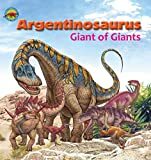 Giant, the fifth title in the series, shows what life was like for Argentinosaurus, the largest animal that ever existed. We journey across the plains of prehistoric South America with a group of these outsized herbivores, as they encounter the strange armored sauropod Saltasaurus and the primitive bird Patagopteryx. However, their nemesis, the enormous carnivore Giganotosaurus, is never far behind. The essays following the comic describe the remarkable dinosaurs of the later Cretaceous period, especially the amazingly large species that flourished in what is now Argentina. Paleontology Notebook: A 120-page Blank Lined Planner Journal Diary for Paleontologists. For folks who dig dinosaurs from the Compsognathus longipes to the Argentinosaurus huinculensis. This 120-page college-ruled notebook makes a great gift for paleontologist and dinosaur enthusiasts This notebook is perfect for to use as journal, planner or diary to keep you company on your next dig. Perfect for everyday use, for classroom notes, writing, writing down notes in the field, new projects, or to write down any happy encounters or random fleeting thoughts. 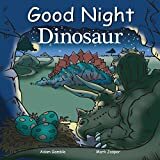 Good Night Dinosaur explores Stegosaurus and Tyrannosaurus rex, Supersaurus, Triceratops, Ornithomimus, Deinonychus, Plesiosaurs, Troodon, Spinosaurus, Ankylosaurus, and more. 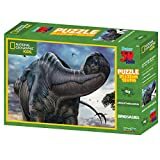 This educational board book brings to life the prehistoric world and introduces children to all the creatures and natural wonders of that time. More than a hundred years ago, Sir Arthur Conan Doyle wrote a novel called The Lost World with the exciting premise that dinosaurs and other prehistoric beasts still ruled in South America. Little did Conan Doyle know, there were terrifying monsters in South America--they just happened to be extinct. In fact, South America has an incredible history as a land where many strange creatures evolved and died out. In his book Giants of the Lost World: Dinosaurs and Other Extinct Monsters of South America, Donald R. Prothero uncovers the real science and history behind this fascinating story. The largest animal ever discovered was the huge sauropod dinosaur Argentinosaurus, which was about 130 feet long and weighed up to 100 tons. The carnivorous predator Giganotosaurus weighed in at more than 8 tons and measured more than 47 feet long, dwarfing the T. rex in comparison. Gigantic anacondas broke reptile records; possums evolved into huge saber-toothed predators; and ground sloths grew larger than elephants in this strange, unknown land. Prothero presents the scientific details about each of these prehistoric beasts, provides a picture of the ancient landscapes they once roamed, and includes the stories of the individuals who first discovered their fossils for a captivating account of a lost world that is stranger than fiction. Take a peek beneath the canopy of prehistoric forests to discover the world of dinosaurs. Spread-by-spread battles pit species against one another in scientifically accurate battles, while fact files give report writers the info they need at a glance. Long-necked dinosaurs like Brachiosaurus looked down on the earth from above the treetops. 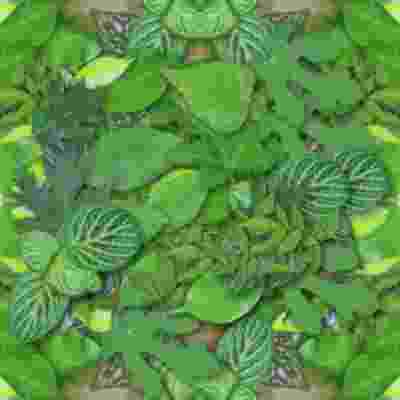 These mighty plant eaters had long tails, necks, and bodies. Bold images, colorful maps, and interesting facts take readers back to a time when these giants walked the earth. Hunter and Charlie have made the best double d-bot, to catch an argentinosaurus. But they have a new friend to save first! Vivarna is a carnivorous dinosaur who lives in an unfriendly neighborhood which is full of dangers. He existed in Patagonia way back one hundred and twenty million years ago. The dinosaur fought with other large-sized fiends and with the natural disasters having only one goal in mind: survival. Here are his adventures, to all of the readers’ delight, from those ranging from ten to ninety-nine years! He is a young super-raptor, ready for any battle; with his large members and his sharp teeth, he will have to go through the terrifying desert behind a group of enormous dinosaurs who head to an even more dangerous sea… where other adventures will await him! Vivarna es un dinosaurio carnívoro que vive en un mundo hostil y peligroso, hace 120 millones de años, en la remota Patagonia prehistórica. Se enfrenta a monstruos gigantescos y a desastres naturales con una sola meta: sobrevivir. ¡Estas son sus aventuras, para deleite de sus lectores de 10 a 99 años! Es un suprarraptor juvenil, pero ya bien preparado para la lucha; con sus largas garras y afilados dientes se abrirá camino por un desierto terrorífico, siguiendo a una manada de enormes dinosaurios hasta llegar a un mar todavía más peligroso… ¡donde lo esperan nuevas aventuras! FUN FACT: The Chinese titanosaur Daxiatitan, like most giant sauropods, is known only from partial skeletal remains: a number of vertebrae, including several from the neck, a shoulder blade, and a femur. That is enough, however, for paleontologists to estimate its length at around 30 metres (98 feet). 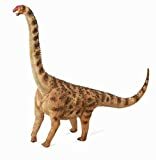 PRODUCT SPECS: The Daxiatitan measures 10.3" L x 8.2" H and has all the key features of a titanic titanosaur: an very small head atop an extremely long neck, a big, chunky body, and an impressive tail and feet of appropriate size with the right number of claws. A huge tyrannosaur dinosaur with an enormously long neck. Its body may have been protected by a scatter bone armored plates. This herbivorous dinosaur lived during the Lower Cretaceous period. Each prehistoric figure in the Collect A collection has been approved by archeologist Anthony Beeson, a well-respected expert in paleo imagery. All Collect A models are individually hand crafted to the highest standards and made with the finest and safest phthalate-free, lead-free materials. Create a natural world in miniature with high quality toy replicas from Collect A. Our mission is to educate collectors and to provide the greatest opportunity for creative play. Our team takes immense care and dedication to make a high quality National Geographic soft toy from design to production. Our products feature exclusive Italian designs. We use our imagination and carry out lengthy research during the design process. We ensure high social and labor standards at our production facilities. We use high quality materials and our labor is trained build these plush toys with great attention to details. All our soft toys are designed and made in full compliance with the safety regulations and are tested by leading accredited international institutes. Each toy is analyzed at the design stage to prevent all possible risks for the child. Washing instructions: our toys are washable in the washing machine at cold; for large size items, we recommend hand washing using a wet sponge and neutral soap. The thrilling action and adventure continues with Jurassic World Dino Rivals! 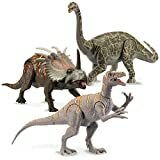 These large action-scale dinosaur figures have two-button activation for both tail strike action and head strike action. Press both buttons for dual strike action at the same time! Dinosaurs also feature movie-inspired sculpting and authentic color and detail.